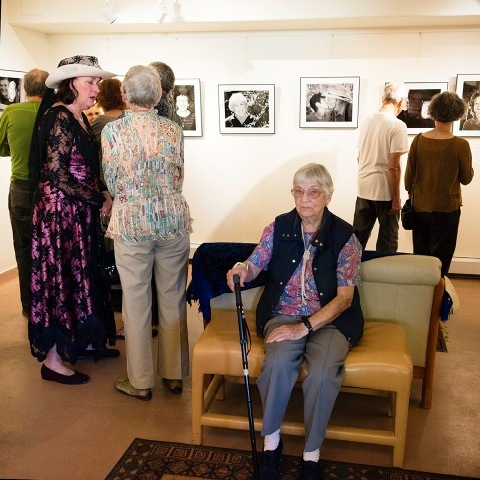 Now through October 7, the Creamery Arts Center in Hotchkiss features an audio-visual installation, “Neighbors, Strangers, and Friends,” celebrating the rich history of the North Fork Valley through the voices of nineteen community elders, and their portraits by photographer Rita Clagett. That’s me! I had so much fun doing this project, and I want to thank everyone who consented to be interviewed, and everyone who helped, especially North Fork Valley Heart and Soul for financial support, and Jeff Reynolds at KVNF for technical support. The exhibit includes a soundtrack that loops from the introduction of these unique voices through their stories of pioneer days, the Depression era, fruit history, historic floods and fires, and more, to thoughts on life, love, aging, dying and death. Individual voices and stories are woven chronologically and topically through a two and a half hour trajectory that is a work of art in itself. I hope people will bring their knitting or a cup of coffee, or get an ice cream up front, and come set a spell in the gallery; listen to these stories of valley lore and unique personal experiences, and enjoy looking around the room at these wonderful faces so full of life. You’ll see some of your own friends and neighbors, and probably some strangers as well. The soundtrack plays through a vintage-looking Cathedral radio, and if it’s not loud enough, please turn it up so you can hear it comfortably. The volume is the round knob on the left front. There are plenty of comfy seats. We all have stories. Some of us have a lot of stories, and some of us have one defining story, but all of us have stories within the stories of our lives. 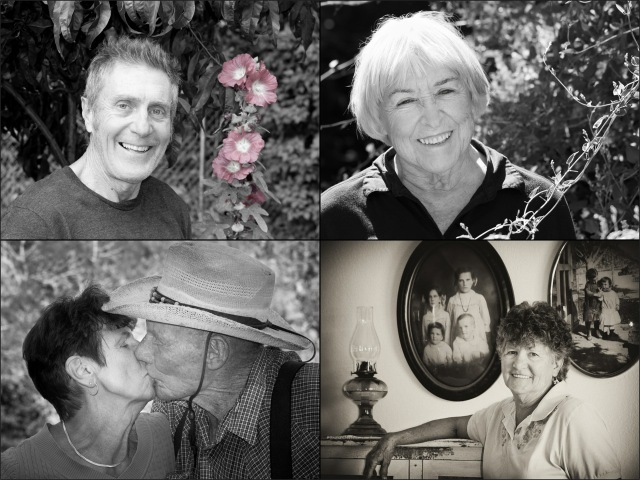 The Creamery and I set out to tell the stories of some of the elders of the North Fork Valley, to learn from and celebrate them, their age, and their wisdom, and we succeeded. 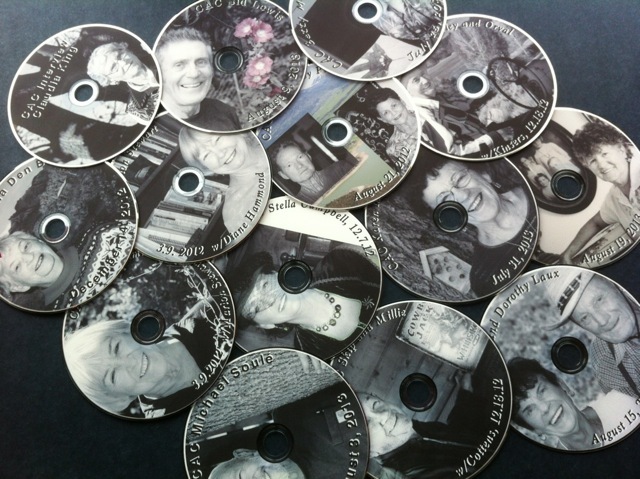 Each person who participated will receive their portrait from the display, and also a DVD of their video interview. Throughout human existence, elders have been revered for their wisdom, the insights that simply being human for a long time has given them. We’ve lost some of that reverence in our culture over the past half century or so. I’ve seen it go since I was little. Our parents and grandparents, aunts and uncles, neighbors and friends, when they get old, they sometimes get forgotten, and they have so much to offer those of us coming up after them, learning what it means to be human, which is a long, complicated endeavor; whether we follow in their footsteps or outside their boxes, our elders have a lot to keep giving to our community. We’re lucky that we live in a community that understands this more than most. We live in a large neighborhood, the North Fork Valley, that includes a startling diversity of individuals. Yet we share many of the same fundamental values, most of which boil down to being a good neighbor. When we set aside conflicts and whose rights begin exactly where, and we look at the big picture, we all love where we live. This is a show about place, through the stories and the faces of our community’s revered elders. Please join me in celebrating your friends and neighbors, none of them really strangers, just neighbors you haven’t yet met. Please ask your parents and grandparents, if you are still able, about your history, your own story. Please pay attention to your elders, all of them, your family, your neighbors, your friends. 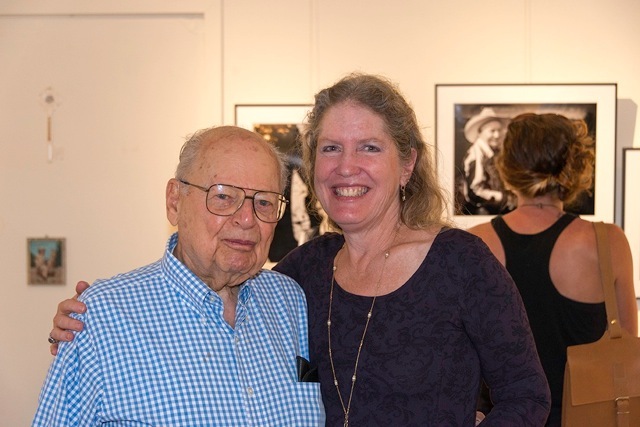 “Neighbors, Strangers, and Friends” is on display at the Creamery Arts Center, 165 West Bridge Street in Hotchkiss, Colorado. Summer hours are Monday – Saturday from 11 a.m. – 6 p.m. Huge thanks for the trust and confidence placed in me go to Betty Mueller, Claudia King, Diane Hammond, Don and Dorothy Laux, Felix Belmont, Hetty Todd, Jim and Joy Piburn, Karen Martin, Marion Stewart, Michael Soulé, Millie and Skip Kinser, Nina Den Beste, Orval and Shirley Cotten, Sid Lewis, and Stella Campbell.